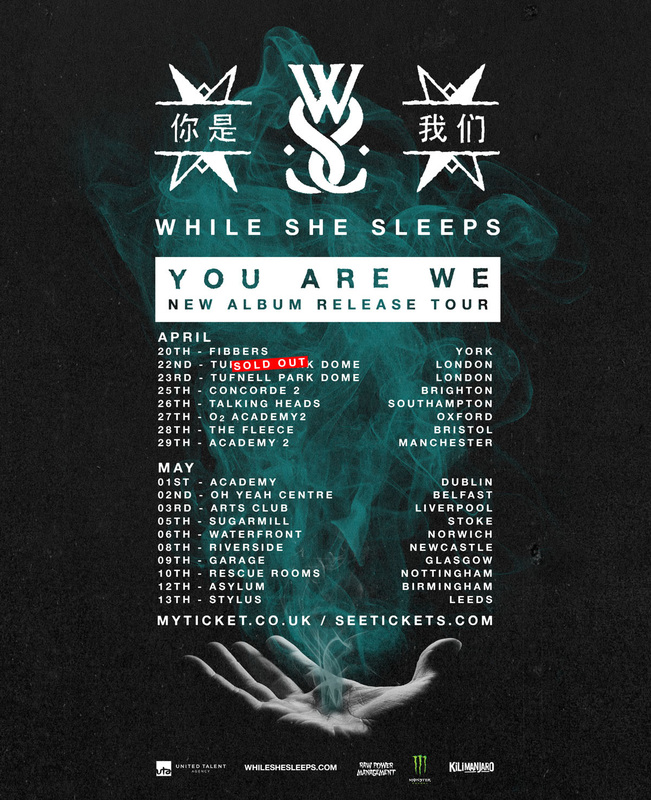 Sheffield metalcore outfit While She Sleeps have announced their highly anticipated third album, You Are We, will be released 4/21/17. The band is currently on tour in Europe with Bring Me the Horizon and they’ve also announced a UK headline tour throughout April and May of 2017 in order to bring their new music to their loyal and dedicated fanbase up close and personal. The latest track to be revealed from the forthcoming record is the anthemic “Hurricane”, for which a video is also now streaming and is viewable below.